Plays up the “walking stereotype” of his nature. 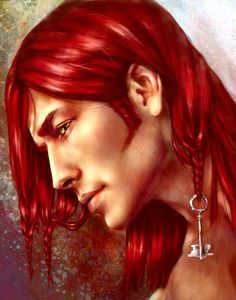 Gained his street name from his signature red hair, as well as his blood-drinking. Very coy and mysterious about his true age, but has some retro affectations and interests (which he turns off as needed). Spent a lot of time hunting bugs in Chicago, over the years, and is something of an expert. Often runs with other infected, as well as a powerful free water spirit. Has some old friends amidst the ghouls at Long Pig Farms.